Join us on Easter Sunday, April 21 @ 9:00 & 10:30 AM for a wonderful time of worship as we celebrate our Risen Savior, Jesus Christ. 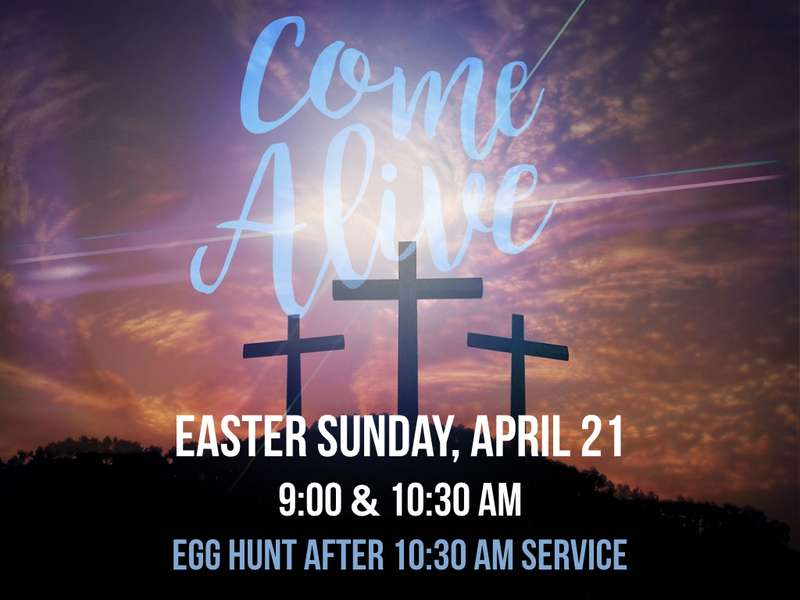 After the 10:30 AM service, we will be having an Egg Hunt for children. We look forward to connecting with you!